Alexander Seropian (born 1969) is an American video game developer, one of the initial founders and later president of Bungie, the developer of the Marathon, Myth, and Halo video game series. Seropian became interested in computer programming in college and teamed up with fellow student Jason Jones to publish Jones's game Minotaur: The Labyrinths of Crete. 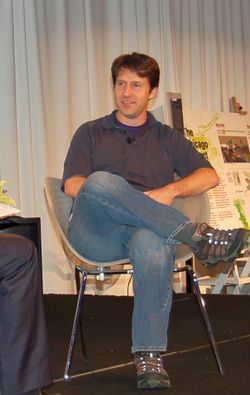 The two became partners, and Bungie grew to become the best-known Apple Macintosh game developer before being bought by Microsoft in 2001. In 2004, Seropian left Bungie and created Wideload Games, with the goal of streamlining game development. Wideload's small core development team worked with outside contractors to produce Stubbs the Zombie and Hail to the Chimp. Wideload was acquired by Disney in 2009. As part of the deal Seropian became vice president of game development for Disney Interactive Studios. In 2012 he left the position to start Industrial Toys, a company focusing on mobile games.